Barefoot Bea hates wearing shoes. She sniffs her nose at a sandal, looks aghast at a gumboot and won't suffer a sneaker. 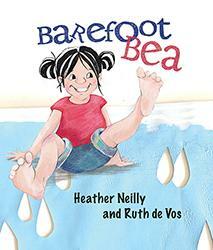 But when Bea's parents decide to take radical action, their dynamic daughter comes up with an ingenious solution!